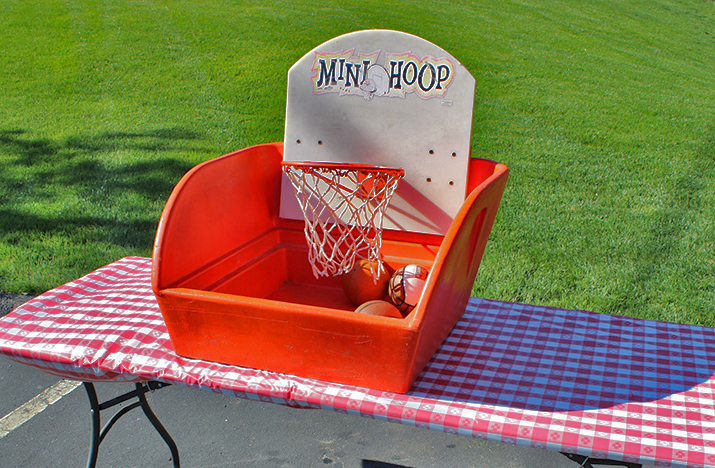 Test your skills and shoot some Hoops on the mini Basketball Midway Game! This game is a perfect addition to any event. Love Basketball? Then check out our Inflate-A-Hoops for an oversized version of the same great game!